Jim Feldhaus worked on Jodi Huisentruit’s case almost every day for the last 18 years. ‘The Cat’ as he was nicknamed, could be found most of those days slouched over a keyboard, smoking cigarettes and carefully studying what was on the glowing screens of his computers. 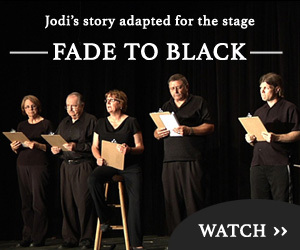 Jim pored over emails and other documents collected in his own investigation into Jodi’s case. He would make phone calls, take notes, review interviews and track down leads. Gary and I traveled to see Jim back in June of 2004. We both worked for KAAL-TV back then. We put together a 13-part series on her disappearance. When we first made plans to create the series, Jim was one of the first to email us with information about Jodi’s disappearance. He had a lot of information – stuff we had never heard before. The process of vetting the information was challenging to say the least because Jim had been working on this case for years and had been making connections with people we had yet to meet. To get the full story, we decided to fly out to the tiny town of Canistota, South Dakota to interview him. You’ll find that Jim is quite a character on video. You’ll find our interview with Jim at the top of this page (much more than you’ll find in the episode #12 of The Huisentruit File that’s about him). It was always a bit exciting to get a phone call from Jim because you never knew what you were going to get. On a few occasions, I would pick up the phone and he would be loudly proclaiming “it’s over, it’s over!”, thinking he had found the golden nugget of information to solve the case. Later, we learned that wasn’t the case. But during those times, I admired his dedication and perseverance in the case. I oftentimes disagreed with things Jim said, or theories he had conjured up. But then again, most information we get to this website are theories. Some are very believable, many are out of this world. The bottom line when it came to Jim, was that he never gave up. And that’s what impressed me most. We’ve included several items on this page to honor Jim and his dedication to the case. You’ll find our Interview with him back in June of 2004 along with some footage of our plane ride to and from South Dakota on that stormy afternoon. You’ll also find some images from Jim’s memorial thanks to Muskgrove, a FindJodi.com supporter. And finally, you’ll find the announcement of Jim’s passing and some information about his life from Kinzley Funeral Home. Our mission is to find Jodi Huisentruit and those responsible for her disappearance. We know Jim is still ‘fighting the good fight’ and we are all excited for the day we can truly say it’s over…it’s over. Thanks for your hard work, Jim. Note: The interview about is from June of 2004. While not much has changed regarding the case, some details have been publicly released and/or proven or disproven. The source of this video is from KAAL-TV, Hubbard Broadcasting, Inc.
Special thanks to FindJodi.com visitor and dedicated searcher Muskgrove for these images from Jim’s memorial service. James Feldhaus, 79, of Canistota passed away on October 10, 2013 at Daugherty Hospice in Sioux Falls, SD. A memorial service will be held at 2:00 pm on Sunday, October 20 at Kinzley Funeral Home in Salem. James Feldhaus was born on September 8, 1934 to Gordon and Margaret (Peterson) Feldhaus in Howard, SD. He was raised in the Howard area and attended St. Agatha Catholic School. He later attended Washington High School in Sioux Falls, SD and then went on to South Dakota State University to earn a B.S. in Chemistry and Mathematics, and later an M.S. in Organic Chemistry. After completing his Master’s, he served in the Army during the Cuban Missile Crisis and retired as a Captain. Jim then began his career in science as a professor of Chemistry at SDSU. Following that, he accepted a position to teach at the University of Minnesota. After some time teaching, James worked as a research chemist for 3M until 1976. At that time, he moved to a position with the US Department of Energy in Bethesda, MD and was in that position until 1987. He also spent some time working for a Community Action Council advocating for the underprivileged and mentally ill in Maryland. James was a member of the American Legion in Hagerstown, MD and enjoyed a wide array of hobbies including archery, hiking, and horseback riding. Jim had a love of learning throughout his life and was fascinated by such areas as military history, aeronautics, meteorology, astronomy, political science, and modern languages. Jim is survived by his daughter, Theresa Glynn of Canistota, his granddaughter, Natasha (Alex) Keller of Sioux City, IA, his grandson, Ciaran Glynn of Canistota, and his great-grandson, Ian Keller. He was preceded in death by his parents, his sister Mary Feldhaus-Weber of Boston, MA, and a son-in-law, Anthony Patrick Glynn. Memorials can be made to the Great Plains Zoo and Delbridge Museum in Sioux Falls, SD. Please share any memories you had about Jim in the comments section below. We appreciate your stories. My sympathy to the family of Jim Feldhaus. He was obviously a tremendously intelligent and astute individual and the search for Jodi was certainly helped by the information he was able to glean. Thanks for the comment, Tomahawk. Appreciate your comments on the website and the forum. So sorry to read of his passing. Such a dedicated man. I am so sorry to hear of the passing of Jim Feldhaus. I became to know Jim through his work on the FindJodi site. I knew he was ill and he didn’t want to discuss it after initially mentioning it in passing. Jim devoted a large amount of work to trying to find and track those responsible in Jodi’s disappearance, he will be missed. My prayers to his family. My sympathy to the Feldhaus family. Thanks to Jim for all of his work to help Jodi’s case. I believe her killer will be identified.